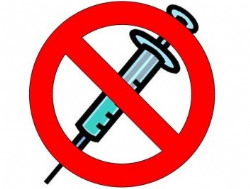 Imagine being able to treat phobic adults or just about any child, without needing a needle? According to the FDA, dosage is 2 sprays, 4 to 5 minutes apart, in the nose. Spray is delivered on the side to be treated. It's not a panacea since it's not yet able to be used for all teeth. But it's still an amazing (revolutionary) advancement! According to the FDA, Kovanaze is "indicated for regional anesthesia when performing a restorative procedure on Teeth 4 - 13 in adults, and A - J" in children (over 40Kg.) Stay tuned to this blog for information on when Kovanaze will become available for purchase. What is the universal way for any practice to increase the production by $250,000? Thank you. Hi Elena, there's no one universal way for any practice to increase revenue by $250,000. The reference on my blog is to a $250,000 GUARANTEED increase in revenue for those who are accepted into my 10 month GG12 Dental Practice Transformation program. We offer a FREE no-obligation "RoadMap to Success" process during which our Senior Practice Analyst will help you identify a minimum of $250,000 of as-of-yet UNTAPPED opportunities specific to YOUR practice. If you click the "SCHEDULE MY FREE CALL" button we'll be happy to assist you. Hello Tom. My questions has to do with new second office startups aside from my current office and how best to decide among the many marketing firms and companies that in myezkereunce in the past did not live up to claims made. I would like to not only "transform" our current office in Bristol RI but create a transformational start to a new one inneaeby MA. Does your program have a new practice applicability? Regardless of who you choose to work with, I would recommend that company perform an analysis of your practice and make recommendations regarding maximizing your EXISTING practice before opening your startup 2nd practice. Two of the most critical factors in the success of multiple practices are 1. Maximization of profitability of the original practice and 2. systems systems systems. Even though you likely don't have any intention of "franchising" your practice, you should create and deploy systems as if you were going to franchise. I would recommend that you take advantage of our "RoadMap to Success" process which includes such an analysis. No matter how well you're doing in your initial practice, it's likely our Senior Practice Analyst will be able to show you exactly where you are missing (significant) opportunity. As far as making a choice between companies, start with the analysis. If you like what you've learned at that point, request speak with a number of folks who've been through the program.